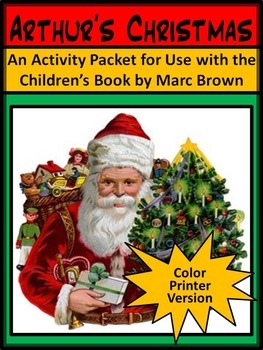 This Holiday language arts and reading bundle packet contains three of my holiday activity packets which are intended for use with the children's books by Marc Brown. Save money buy purchasing them as a bundled set! 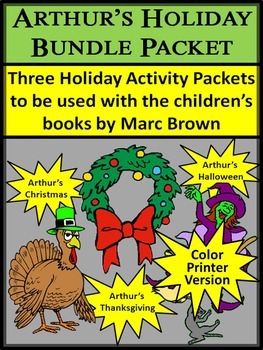 Books covered in the bundle include; Arthur's Halloween, Arthur's Thanksgiving, and Arthur's Christmas. 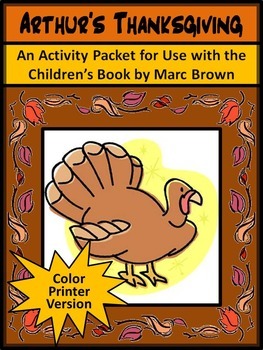 This bundle packet is a Color Version ONLY. It is recommended for color laser jet and color inkjet printers. 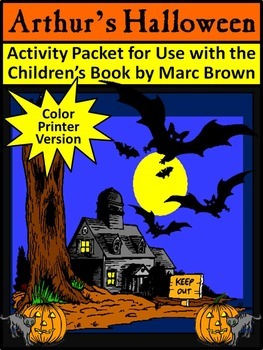 * One Halloween Writing Activity - What Frightens You?